Here’s an example of a pre-made party! 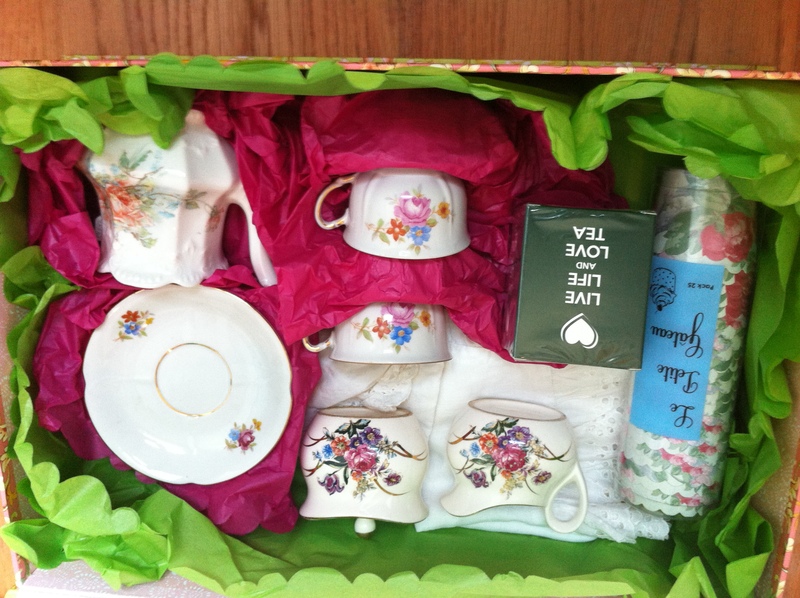 It’s a tea party in a box. No paper products here – linen napkins, table cover, real china and fake pearls. It comes with a list of suggested menu items. More decorations or invitations can be ordered separately. This box is designed for a small party of four, but additional supplies can be added if needed. 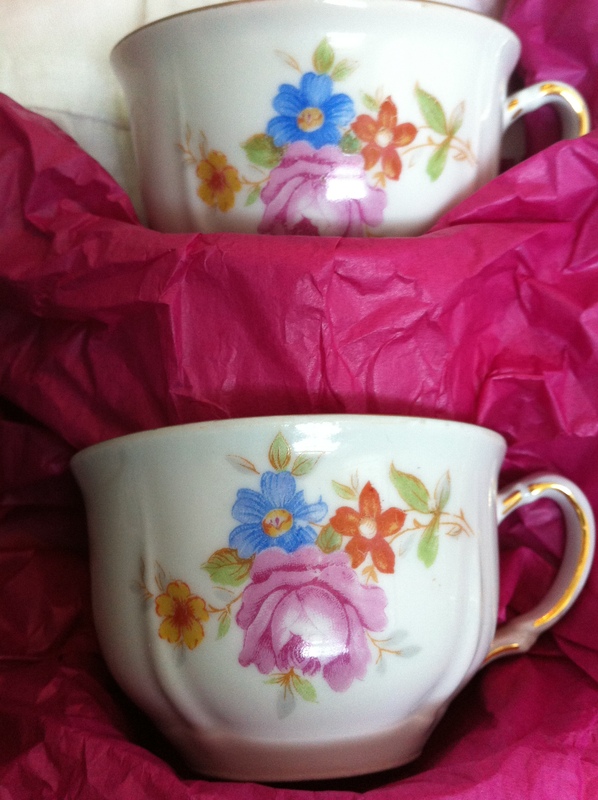 A close up of the dainty tea cups. There are four with matching saucers. They are small enough for little fingers, but not “children’s tea set” size. 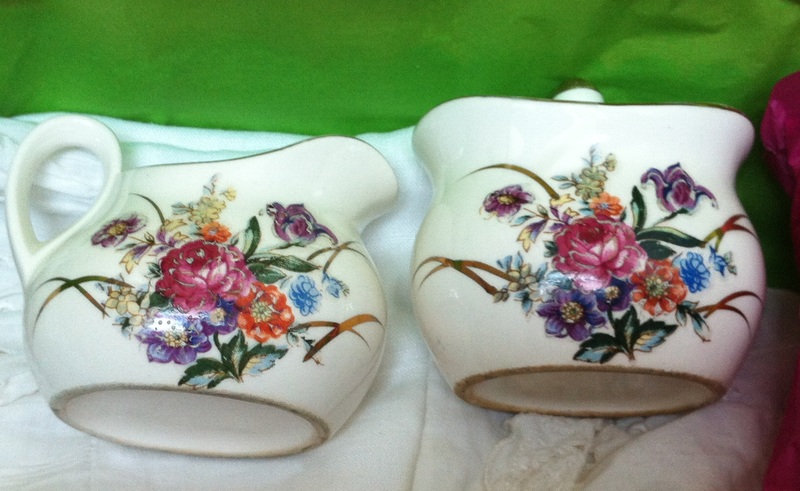 The creamer with matching sugar dish. Price for the whole set, including delivery to your house: $100. Contact me at alicia.g.rutherford@gmail.com with any questions or to place your order.